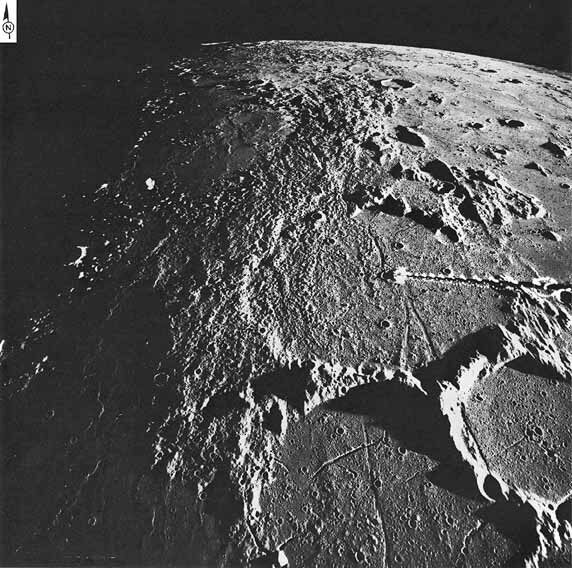 A north looking oblique view of the region surrounding the Apollo 14 landing site (arrow), about 600 km south of the Imbrium basin, which is just beyond the horizon. The fine, hummocky material extending through the center of the frame from the lower edge to the horizon has been mapped as ejecta from the Imbrium basin and designated the Fra Mauro Formation. The formation is most easily distinguished in the western half of Fra Mauro, the large (95 km) crater near the center. In the eastern half of the same crater the formation is either absent or is too thin to be visible. 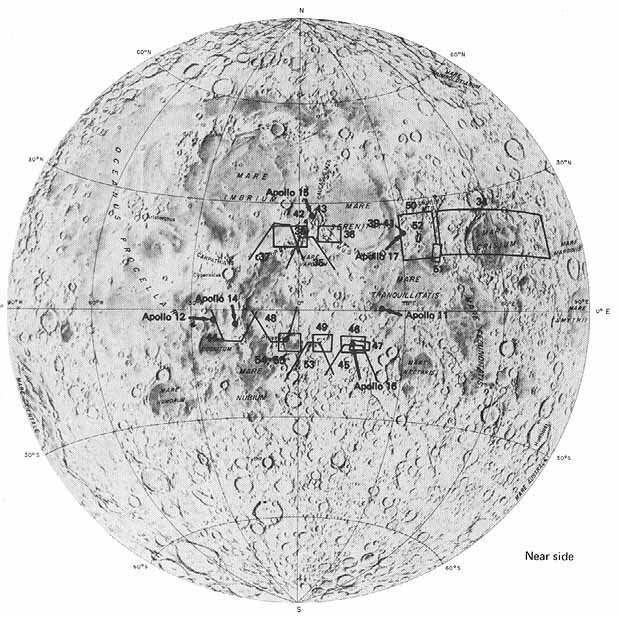 The straight rilles trending toward the lower right corner of the frame may be related to the radial stresses generated by the Imbrium event, but detailed mapping has shown that they are much younger in age. -M.W.